Nancy Pedicord moved from Dayton, Ohio, to Ft. Lauderdale, with her husband, Larry, and two infant daughters, Kimberly and Cindy where they would begin their new lives with Pine Crest School in sunny Florida. Ten years later, their son, Royce, was born. They now are the proud grandparents of five beautiful grandchildren; two grandsons, and three granddaughters. Nancy began her real estate career in 1981, when she decided to leave her position at Pine Crest School, where her husband was employed as an administrator for 40 years. 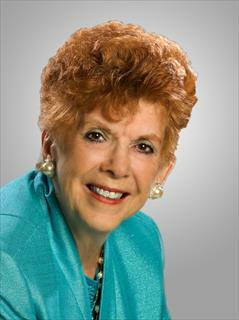 Gordon Latz and Associates, later known as Prudential Florida Properties was her home base for 23 years, serving for three years as the General Manager. While there, she earned the Legends Award, by achieving over $250,000 in gross commissions for 10 or more years. She also served several terms on the Executive Board of Directors for the Women's Council of Realtors of the Ft Lauderdale Area Board of Realtors. The Ft. Lauderdale Board of Realtors also recognized Nancy's achievements in the community and in her real estate practice by honoring her with membership in the Honor Society. She also received the highest grade in her class of over 200, for the designation of Graduate of the Realtors Institute. Cindy also received recognition from FAR as being the top producing Prudential agent in the state of Florida. A first in television history, CNBC contacted Nancy to produced a three minute commercial, which was run five times a day on national TV for a three week period. This was the only instance of a network marketing a listed property. A crew from New York flew into town and filmed her listing in Bay Colony, the property of Richard King of King World Productions. This received state wide recognition by FAR as well as national attention by various publications such as New York Times. Bay Colony is a luxury subdivision with private , restricted access. Nancy and Cindy have transacted over 50 % of the sales in this waterfront community. In 2004, Nancy, along with her daughter and partner, Cindy, made the difficult decision to leave Prudential, to join the Balistreri Family, where they both are quite active and recognized professionals as top producers, having consistently achieved the Platinum Production Award since becoming a Balistreri member in 2004. These two ladies have become known as ethical, honorable, gracious, cordial and a pleasure to work with among their fellow agents as well as their clients. During their 37 year on-going career, they have had the pleasure of knowing and serving such clients as Richard King of King World Productions, "Woody" Johnson of Johnson and Johnson Pharmaceutical, Joseph Castellano, William McMillan-Past President of Pine Crest Preparatory School, Lorraine Thomas, widow of Dave Thomas of Wendy's, Tom Gruber- CEO of Auto Nation, Adnan Khashoggi- a Saudi Arabian once known as the richest man in the world, John Y. Brown- former Gov. of Kentucky, Phil Smith of Phil Smith Ford, Hamid Hashami of Muvico, John Bodette- past president of Port Royale Condo Association, and David Gilman- condo developer, as well as several well known celebrities with whom they also had the pleasure of working, including Glenn Campbell, Phillip Michael Thomas, Liza Minnelli, and Kenny Rodgers. In addition to their commitment to her clients, Nancy also is an avid believer in giving back to the community as a volunteer by serving the charities of our community. She is the founding President of Cystic Fibrosis Gold Coast Guild in 1989, where she is still serving as a current board member and received the President's award for service, The Distinguished Service Award. Nancy is past President of Henderson Behavioral Health Auxiliary, having served three, non consecutive terms, and is past President of The 1000+ Club of ACS, where she has served as a board member for 20 years, and is a 40 year cancer survivor. Cindy also serves on the Cystic Fibrosis Board of Directors. In 2016, these two gals chaired a CF fundraising luncheon-fashion show event with Bloomingdales of Aventura fashions and models, at Fort Lauderdale's Hyatt Regency Hotel's Grand Ballroom, which was a tremendous, charitable success. For her achievements in serving the community as a dedicated volunteer, Nancy was honored by 1000+ Club of the American Cancer Society as a "Woman of the Year", the most highly coveted honor in Broward County. Again, she was honored by The Symphony of the Americas, as a "Woman of Style and Substance" for her charitable service and contributions to the community. She is a member of Coral Ridge Presbyterian Church, a member of the Ohio Eastern Star, a member of Pine Crest School's Column Society, past president of Methodist Youth Fellowship and a past Worthy Advisor of the Rainbow Girls. Nancy is a Broker Associate and a Graduate of the Realtors Institute, GRI., She and Cindy are recognized as outstanding professionals and both love their work!